Did you know you can buy wine and spirits in bulk, too?! I have so much fun wine shopping at Entrepôt du Vin en Vrac. Not only do I get to sample all the wines before refilling my bottles, but I get a 40% discount by shopping at the outlet. Total price for six bottles of wine: $48 CAD tax included (that’s only $38 USD)! 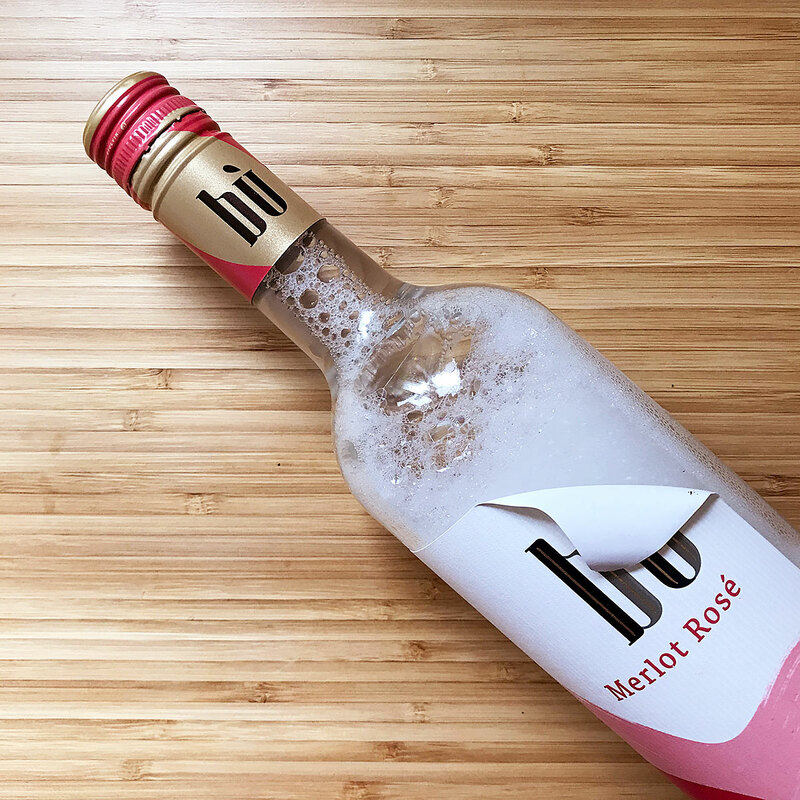 1) Wash used wine bottles with hot, soapy water and remove the labels. 2) Sometimes labels come off really easily, other times not so much. 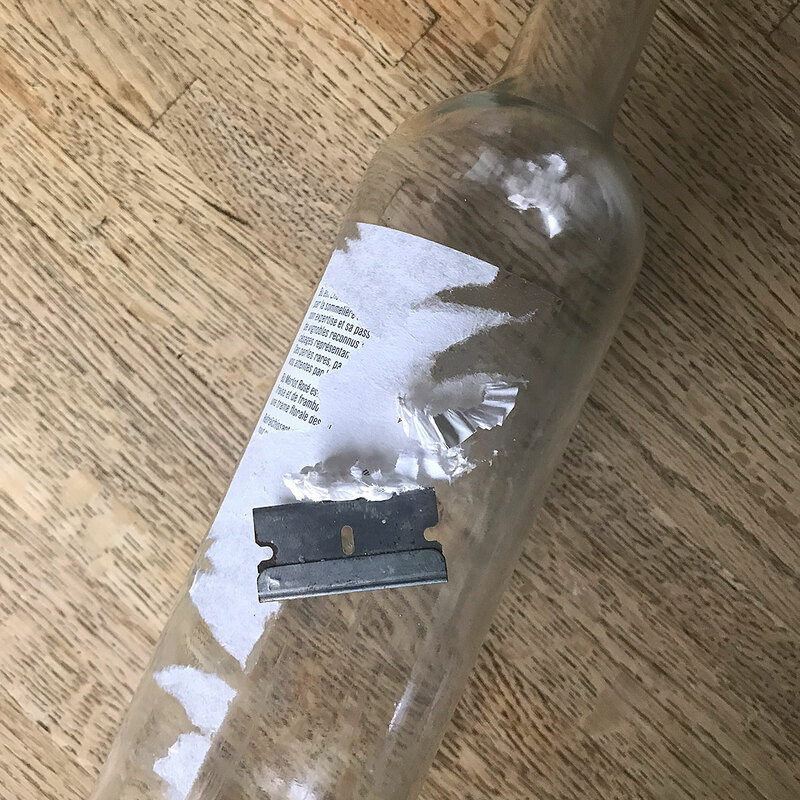 Use a razor blade to scrape off hard-to-remove labels as well as any remaining adhesive then scrub with hot, soapy water. 3) Remove the metal collars (if applicable) before heading to the store. 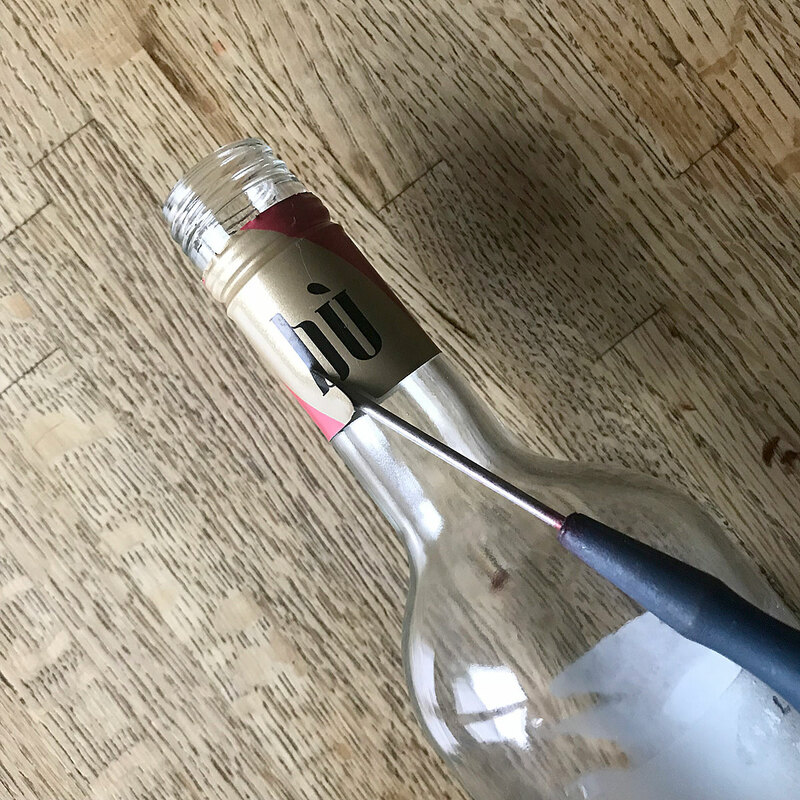 Use a small screw driver to create a tear in the metal, then remove the rest with a needle-nose plier (be careful; the metal is super sharp). Once removed, set the collar aside and bring it with you to the store. They will recycle collars and screw caps then give you new ones to use. If you have corked bottles, they will provide fresh corks. 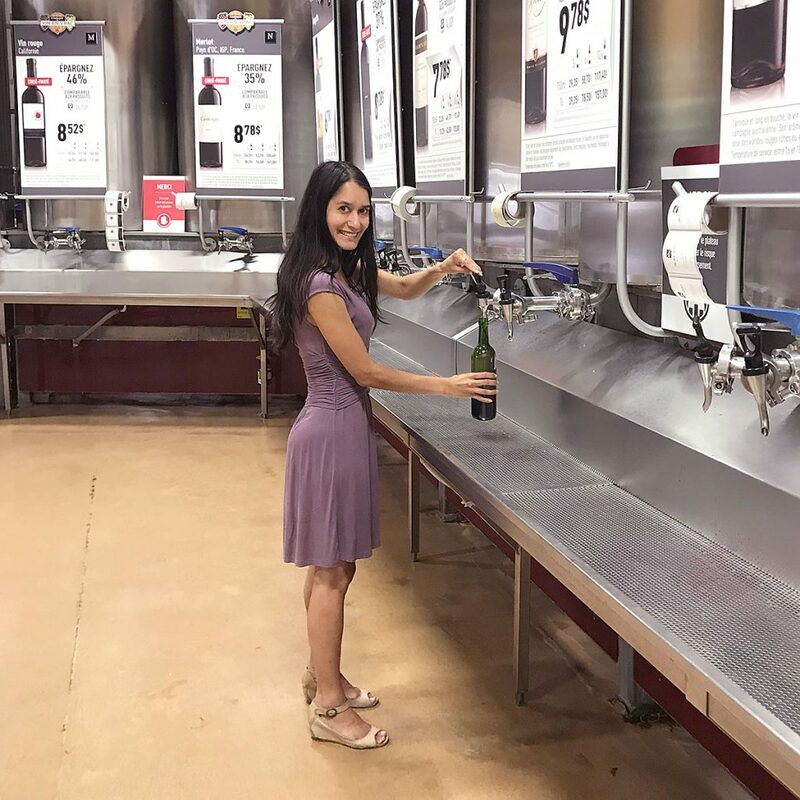 4) Be sure to bring at least six clean wine bottles with you to the store (minimum purchase required). 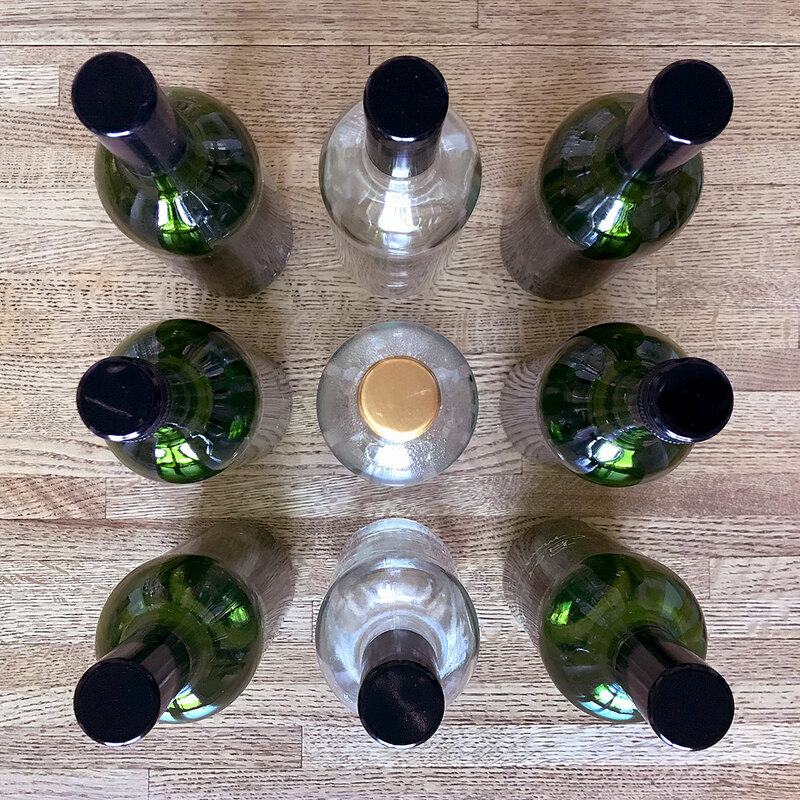 And you’ll have to buy wines in multiples of three (for example, three bottles of your favorite red and three bottles of your favorite white) so bring six, nine or twelve bottles. 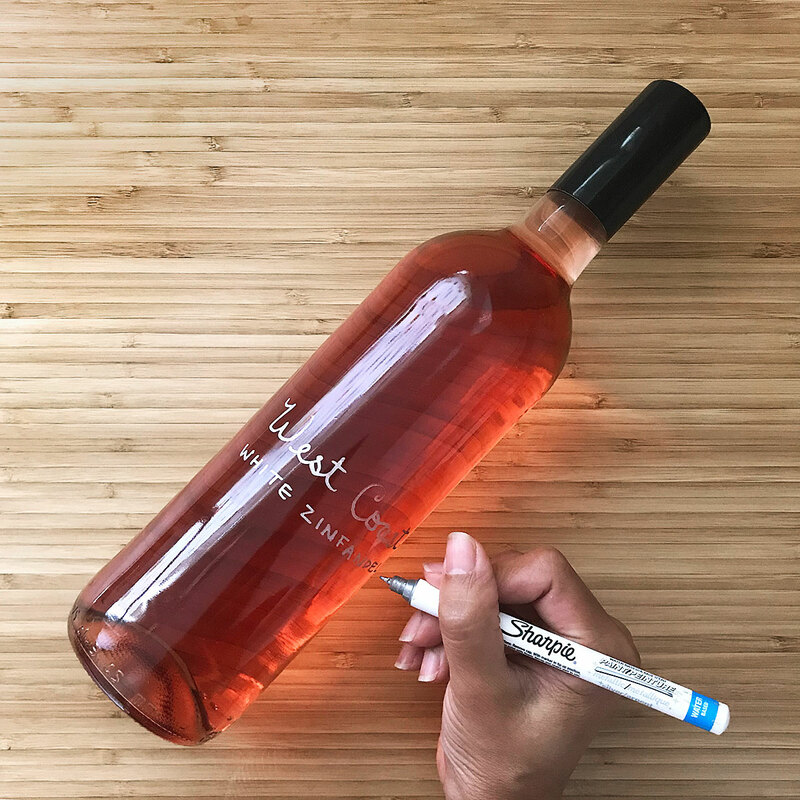 5) Make a note of the wines you choose (I like to take a picture of the sign) so you can write the name on the bottles when you get home.